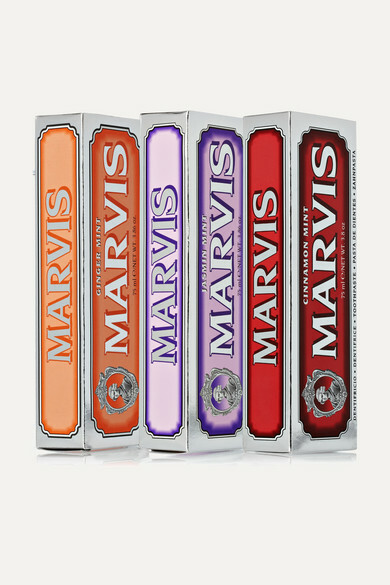 Rethink your morning routine with Marvis's flavorful set of toothpastes. This plaque and tartar-fighting trio comes in three unique mint-based flavors that clean and polish your teeth. We love the unusual Jasmin Mint - it tastes like sweet lavender pastilles.